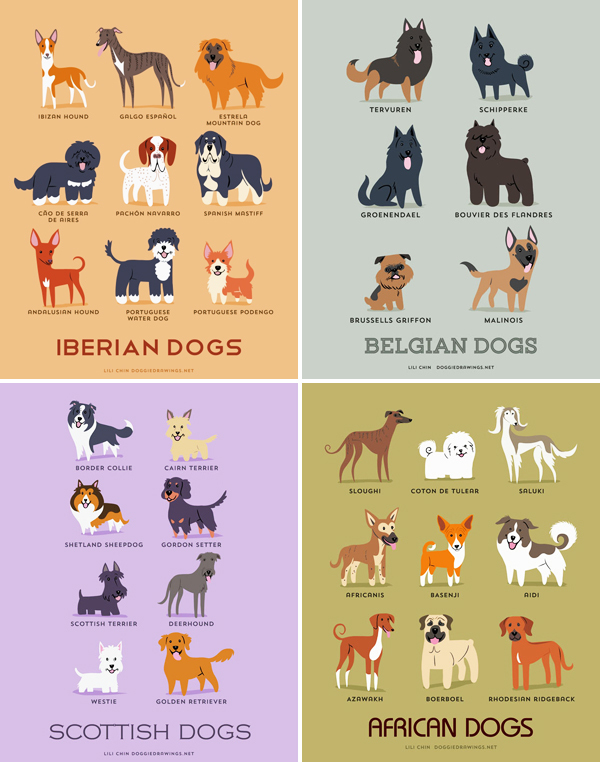 "Dogs Of The World" is a series of wonderful canine illustrations created by Lili Chin of Doggie Drawings last Summer. 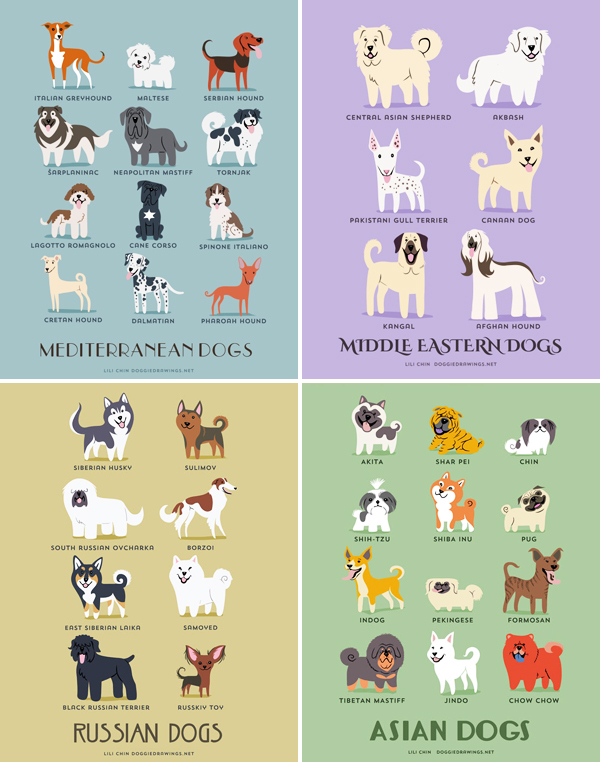 It features colorful cartoon-style characters that highlights the unique appearance of each dogs based by their geographical location and country - from Australia to Latin America, Germany, Asia and Africa just to name a few. 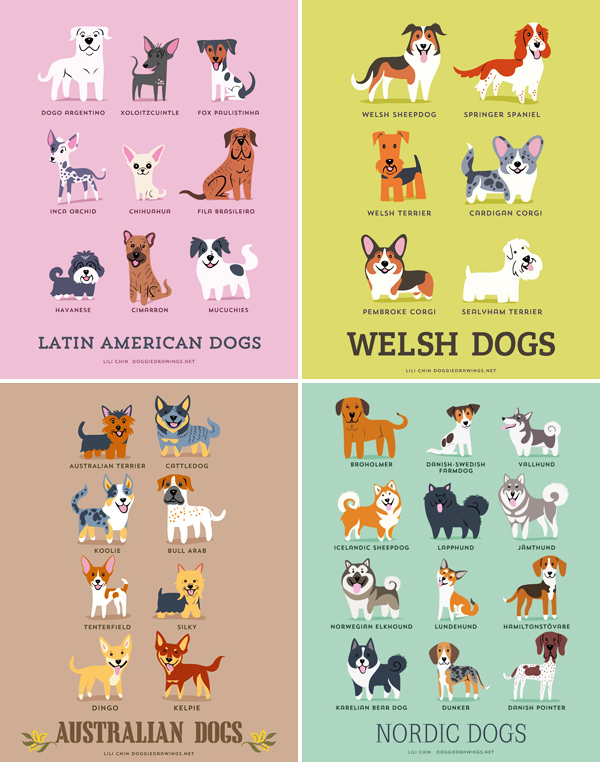 If you enjoy these really cute illustrations, you can purchase prints of it in Lili's Etsy shop. 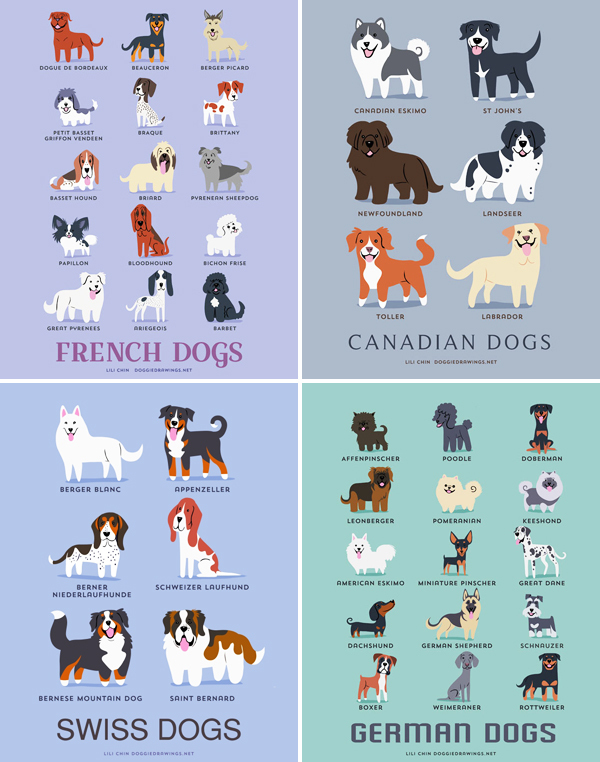 Mugs, t-shirts, and even shower curtains featuring canines are also available in her Society6 store. 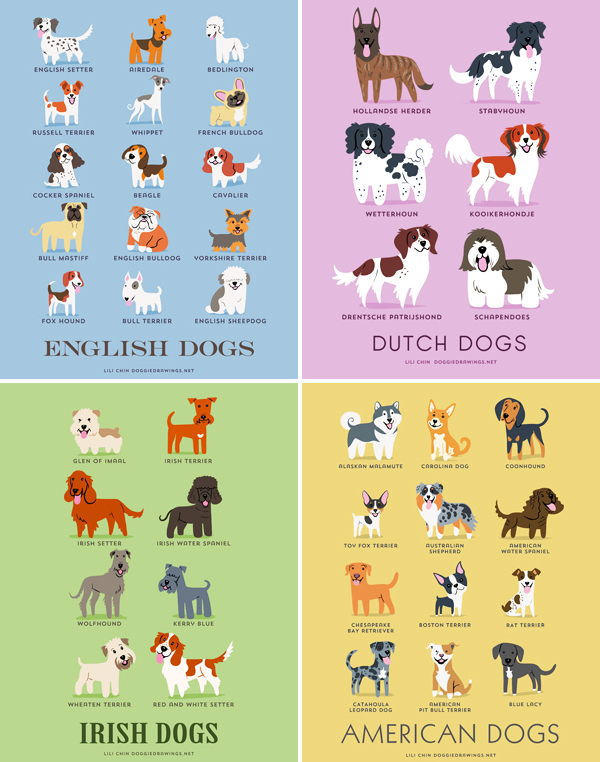 The popularity of this series will be followed by The Mutt Collection, so keep your eye out for it in the coming months because for sue, that is going to be just as awesome as this one!